E very Jaguar feels like no other vehicle on the road. Moving to all-electric power doesn’t change this. 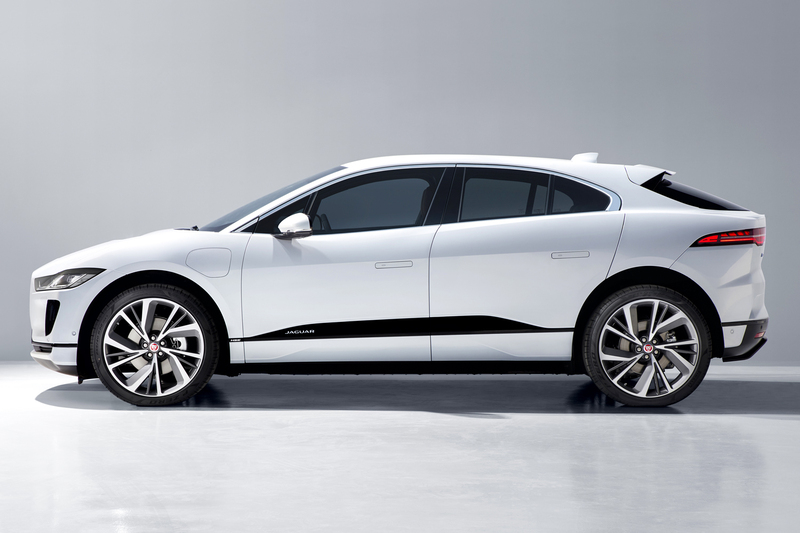 Built from the ground up, the Jaguar I-PACE is a pure Battery Electric Vehicle (BEV). Thrilling to look at and drive, the I-PACE is the smartest Jaguar performance SUV. The I‑PACE is a Jaguar above all else – a true driver’s car. Its electric motors and near perfect weight distribution deliver 512 lb‑ft of instant torque and sports car agility. Featuring an elegant, highly aerodynamic design with a low drag coefficient of 0.29 to 0.33 Cd, the I‑PACE has been created to provide efficiency by slicing cleanly through the air for maximum range and stability. The I‑PACE offers excitement from every angle thanks to its flowing waistline, dramatic hood scoop and signature rear haunches. The I‑PACE seamlessly integrates technology and abundant space. The interior design is clean and uncluttered, with tactile features and sweeping lines. The nature of the electric powertrain offers additional space, providing more freedom to maximize the comfort provided by the interior of the I‑PACE. “This is the first time that an all-electric vehicle has one AJAC’s top honour. Only one vehicle in Canada can win this prize, and it’s a sign of the times that the 2019 Canadian Utility Vehicle of the Year uses no gasoline whatsoever, and consumes only electricity as its fuel.” - MARK RICHARDSON, PRESIDENT, AJAC. 100 km/h in 4.8 seconds. The 90 kWh battery of the I‑PACE is made up of high energy density lithium‑ion pouch cells. Its design and state‑of‑the‑art thermal management system supports longevity and periods of sustained maximum power. I‑PACE’s Touch Pro Duo infotainment system makes it simple to control all the vehicle’s technologies. 4G Wi‑Fi capability is standard and a host of connectivity features mean it’s easy to keep in touch with your digital world. *EPA estimated all‑electric range is 377 km with fully charged battery. All figures are EPA estimates. Actual range and mileage will vary with driving conditions and style, and other factors.